Palette Studios has specialized in decorative and custom lighting for the past 100 years. 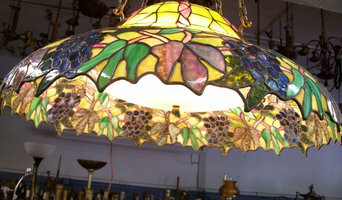 We make lamps to order and we offer full service repair, whether it is your vintage find or a treasured family antique. We have a large selection of stock lampshades and offer custom shade recovers and relines. 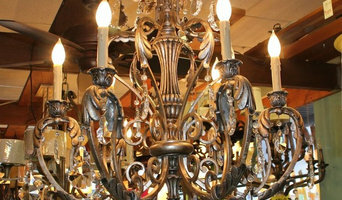 Our showroom has a great variety of new and vintage lamps, chandeliers, and decorative accessories for your home. The Lamp Shop is as the name suggests. 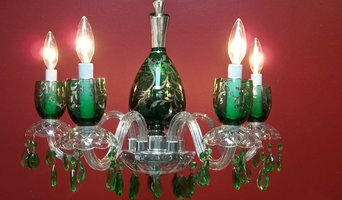 We have a very large selection of antique and vintage lamp glass. Thousands of antique and vintage lamps and parts. Are you looking for an experienced chiropractor? Specializing in accident injuries, Dr Nonnenmacher will help give you the relief you deserve. Call to make an appointment today! I make custom lights from metal marquee letters to galvanized pipe lamps with liquor bottles as the shades or anything recyled. The trees outside your home or office can assist in reducing your energy bill at the same time adding beauty to your property. While this is true, trees can also be a hassle if they are not properly cared for. We specialize in all aspects of tree care, while making sure to use the safest, most advanced and environmentally sound methods. 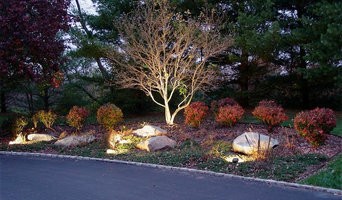 We offer a variety of services to provide the care that your trees need. Some of our services include, storm damage repairs, tree reductions, insurance work, lot and brush clearing, cabling and bracing, drought services, bed and shrub maintenance, mulching, drainage solutions, and clearance for power lines.